On 4th November 2015, Simpson wrote a post in “YoYo BST & Talk” asking for comments on C3 products. We got lots of constructive comments and the comment appear most is “C3 only design BORING V SHAPE yoyos”. We can’t say enough Thank You for all the comments!!!!!! We are good at designing V-shape yoyos. No doubt, this probably is our comfort zone. But in these 6 years, C3 also released some rare shape yoyos like “Master Galaxy” and “Teleport”. We are capable to design different yoyos rather than just V-shape. 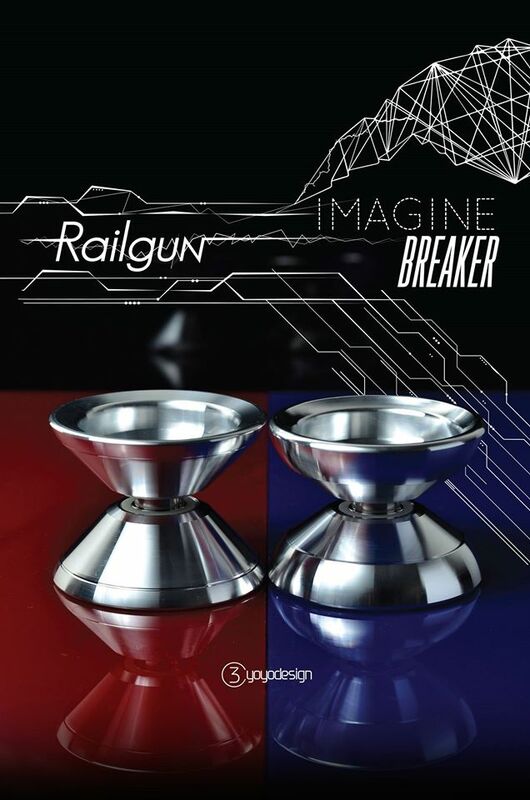 Two different designs with Two different feeling – Railgun and Imagine Breaker. 2015 World Yo-Yo Contest Women division champion and Team C3 Taiwan member, Xiao-Wen Wang a.k.a Hobbit’s signature model. Neo Solar axle has been redesigned. 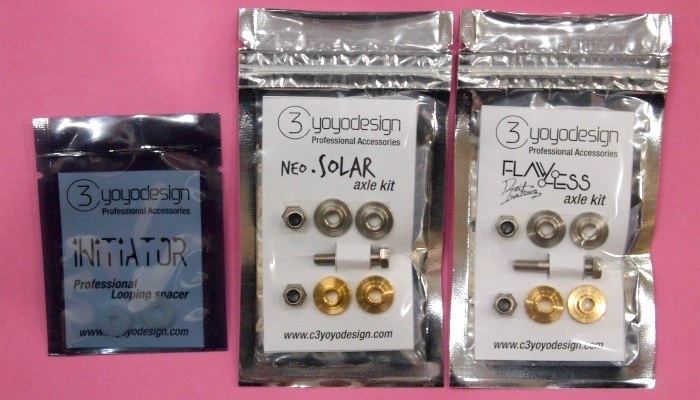 Neo Solar yo-yo is also back in stock. C3yoyodesign – Speedaholic (Beginner) restocked. C3yoyodesign – KROWN.st (Shion Araya) restock! C3yoyodesign – KROWN.st (Shion Araya) restocked in small quantity. C3yoyodesign’s new items now available! Two special editions of KROWN.st, 2015WYYC 1A 2nd place Shion Araya’s special edition and limited black body/gold colored rim edition. *Limited Black Edition is sold out. Initiator is a contest-class looping yo-yo ready for anyone to pick up and play. Also C3 String (Poly100% ) on sale. Hironori brought some items from YOYO-USA store. Check the NEW ITEMS and RE-STOCK category. ← Will be released at Oct 21 19:00 (Japan Time)! C3yoyodesign New Yo-Yos.